Mortgage Bait & Switch Or Not? RE: Internet mortgage company using mortgage bait and switch, or not. As a real estate agent I DO NOT LIKE when a borrower is using an internet mortgage company to process their loan. These big companies have no long term relationship with me and therefore have no reason to make my buyers their highest priority. My vendors, mortgage etc. treat my clients like they are their most important borrowers. The pitch sounds great. The details not so great to most borrowers. The reason for the pitch is to get you to contact the advertiser. My first days as a loan officer were for a large bank. They advertised a rate or program heavily. We were required to take the phone calls. It was not uncommon for the rate to have climbed by the time they published the quoted in the newspaper rate. However once I had them on the phone, gathered 15 minutes worth of information the consumer was so tired of the process that they stayed with us even if the rate or program had changed. In my history it took only a couple of experiences where I refused to take these calls. I believe that is what the objective is for this new advertising program, which is to get you to contact them. The pitfalls of locking now with a promise of a lower rate in the future is that you pay for this attractive program. You either pay with a higher rate or with fees. My experience in originating hundreds of loans is that the costs were not worth it. Another catch is the terms for the relock may be undesirable. You may have a specific period of time that you can exercise the re-lock or it may be available if you are about to close. I don’t remember one person finding this program one they wanted once they knew the facts. The internet mortgage company running these ads do not care if you end up with the rate lock program. The reason is obvious to me, it is like a mortgage bait and switch, anything to get you to call. Why do I title this article, The Wrong Loan Officer Can Get You Into Trouble? The shady ones don’t always look like this. I write this because of a phone call I received from a very worried woman who knew that I used to own a large mortgage company. She had committed loan fraud and that fact was just thrown at her by the company she did the mortgage with. She was terrified over the phone call she had just received. She was guided into it by her loan officer. At the time it didn’t seem like a big deal to her, as it was explained to her she was just fine, so she thought. The fraud was this: she and her husband refinanced their primary residence with this mortgage company. The interest rates were great at the time, it was a smart idea, they had purchased the home years ago with a VA loan and the refi paid that loan off. A month later they went out and purchased another home using their current VA eligibility. The events, refi and purchase, started the fraud. Investment properties have different underwriting rules and benefits. One big difference is that there is a higher interest rate on an investment property. They turned the home they did the refi on into a rental. Now we have the fraud. I asked her if she had all of the paperwork signed at closing. The answer was yes. I asked if they had signed an addendum warranting that they would remain in the home as their primary residence for at least a year. The answer turned out to be yes. But…… she said when discussing the possibilities with their loan officer they were guided that they weren’t certain at the time they would be buying another home and renting this one out. They were told that since it wasn’t certain that it would be ok. The lender came to her in a panic. The loan officer no longer works for this mortgage company. They must believe that they have some liability. Loans are usually sold to an investor. The investor in reviewing this loan found the fraud and rejected it. The mortgage company is now offering to refinance the fraudulent loan to a non owner loan at their cost. They will lose over $10,000 to make this old loan go away. I have suggested to them to be cooperative with the mortgage company, it seems like it will suffer the costs to get rid of this fraudulent loan. I also referred them to an attorney that is a mortgage industry expert to guide them through these next days, and hopefully not with future problems. My advice to you is to always use a loan officer that is personally recommended and introduced to you by a full time real estate agent. There are a few flakes out there and this person found one. There are some great loan officers in the business and they usually work with real estate agents. Real estate agents are demanding. They want loan officers that deliver what was promised, as promised. Take note on my statement above, “deliver what was promised, as promised.” This is outside of fraud. It refers to delivering your loan on time to stay under contract with a seller. This refers to deliver the terms you were promised. One real estate branch broker sourly told me that, “too many transactions the buyers are told all along, the loan is ok and then at the end, “sorry not ok’. I always refer my clients to Aaron Morgan, a producing branch manager of Academy Mortgage. (801-560-8162)To follow my proposed procedure, make sure I let him know that you are contacting him. Interest Rates Have Risen Some, What Does That Mean? Interest Rates Have Risen Some, What Does That Mean? Of course when an in, terest rises the monthly payment on a loan or mortgage also rises. What is the actual impact? In my case, maybe yours too, my spouse would grumble as she closely watches the monthly payment commitment amount that we make. Aaron Morgan, a preferred mortgage lender by some builders, many REALTORS®, and myself provides a chart to help visualize the impact of a rate increase. I provide here a snippet from that chart. So, on a $300,00 mortgage a 1/4 % rise in interest rates is almost $50.00 per month. Yes, that an ouch but beyond that what impact can that have on your new purchase? Does it keep you from buying the home you have targeted? The answer is not usually. It can push the ratios too high to comply with the automated underwriting approval that lenders begin with in issuing an approval. In the many years that I originated loans I rarely was in a situation where we were pushing the maximum to the point a small rise in interest rates killed the transaction. My advice is if you are in a situation that is so borderline, do all you can do to get to the point where you can lock your rate in. There are two ratios that lenders consider. The first is your income vs your house payment and the second ratio adds your monthly debt payments to your housing costs vs your income. Sometimes paying of debt, or getting the payment reduced is a way to counteract the effect of an interest rate rise. A third way to deal with this issue is to buy your interest rate down. The is never just one rate you can secure. All lenders have the ability to select a rate that costs you more in fees to get a lower rate. Sometimes this is the best way to lower your payment. People resist adjustable rate mortgages but Aaron currently has an excellent 7 year adjustable rate mortgage. It’s probable that you spend less money on a 7 year adjustable if you keep it for 9 or 10 years. This lowers your payment for at least 7 years and can be refinanced during that period should it be your desire. We have been in a historical and artificial low rates period. In past times rates being higher were accaptable. My first home purchase was at a 10.625 rate. As rates went down I refinanced. Seniors – Is Your Current House The Right House? For some this may open up an exciting new dream. The ideal person is over 62, home free and clear, healthy, and willing to dream about the yes, “dream home”. 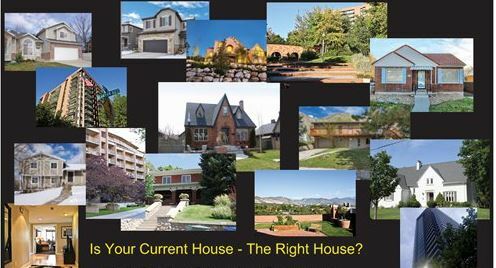 In Salt Lake City it is pretty impossible to find a decent home for $300,000.00. There are first time home buyers out there scouring the new listings for such a home. Sadly, when one comes on the market so many are after this home multiple offers are the norm. So instead of finding the $300,000 home you are in a bidding war against what can be 30 competitors. Good bye to the $300,000 hope. Tooele County is the 7th fastest growing County in the US. Why is that? Prices. You get more for the money over there. However, my experience is that many won’t live there. So buyers remain renters in many cases. In others, they luck out and win the bidding war. OK, lets say that you own such a home. Is this home really the right home for you? Does it take more yard care than you want? Is it a multiple level home and you are tired of stairs? Have you been online or to the Parade of Homes and dreamed of a new home, even a home you can’t afford? Well, dream on senior citizen. Your current house, free and clear, can launch you into a new dream house with no new house payments. What? Yep! First, take a look at what you can purchase for between $550,000 and $650,000, click here. These are all single level living homes. So how do I pull this off for you with no payments. It’s with a government program for senior citizens. The program allows those 62 or older to put about 1/2 down and forego any mortgage payments. The older you are, the less you put down. For example: age 70 puts less down, 44.9%. Because the program is not the norm, the common immediate reaction is NO, this isn’t for me. I suggest that if you do have a dream of a different home, open your minds to this program. I can help you decide if this is actually right for you. I can help you over your questions. I believe in this program. To me, it’s a wonderful solution for many, very many. Seniors – Is Your Current House The Right House? It might not be. I can help you figure this out. Please Follow This Advice On Using A Lender.Use a lender that works closely with your (or on a refi with) real estate agent. I worked with a loan officer that took pride in charging too much, even on her sister. I have seen loans messed up by fresh loan officers that were neighbors or friends. I have had to step and help people with loans going south from the internet companies. For example, the biggie you hear on the radio was not honoring a rate they had promised. I looked at the paperwork and after threatening to help the client go to the Attorney General they miraculously honored their commitment. A loan officer from a major bank lied to his borrower about today’s rate, it was so low it was unbelievable. 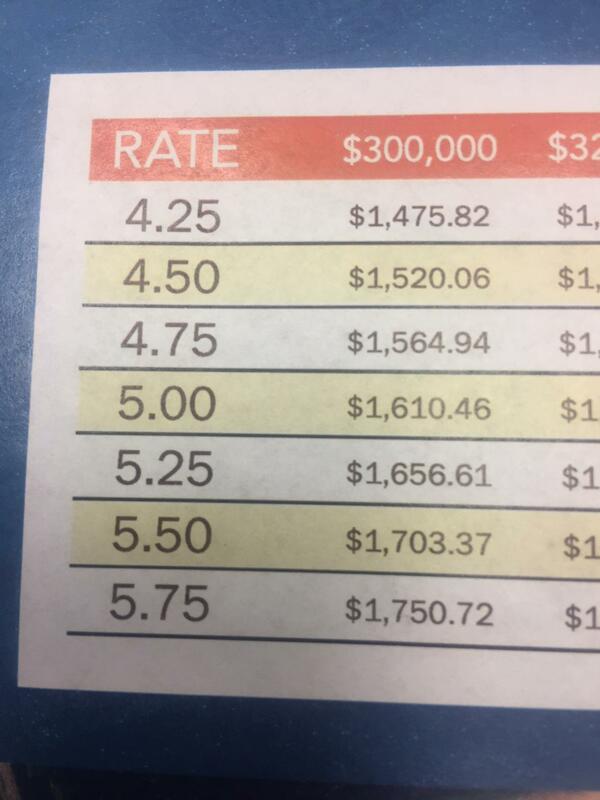 That loan officer didn’t tell the client clearly they were getting a five year adjustable rate. These types gave the industry such a bad rap that the FEDs stepped in and crunched much of what was going on. Even considering this, much can go wrong to mess up your closing. In fact, the new rules has made it even trickier regarding closing on time. So much goes into properly completing a loan that you just do not want to mess around. Think about this: who has the most to lose by poor performance, the person doing your loan who found you from an advertisement or the one who got you from an real estate agent that brings them 4 or many more loans per year? You cannot assume it will be a slam dunk, under any conditions. Today I was told my a lender I recommend and trust that a borrower/buyer on a real estate purchase I am the agent on probably won’t qualify. This buyers situation is so complicated that for sure it is doubtful that he will be able to be approved within the timelines he is committed to. This on the ball loan officer took the tax returns directly to the underwriter for an opinion. I needed to know this immediately not days down the road. We could have assumed this would be a slam dunk as the buyer at first was talking about paying cash. Often, and all too often, a sloppy loan officer gets you close to closing before you find out the scary news. Like a manager of John L Scott real estate once told me about lenders, “I hate that so often it’s they qualify, they qualify, they qualify and just before we are supposed to close it’s oops they really don’t qualify”. I feel so strongly about this that as a sellers agent I look very closely at this issue. For example, I was informed yesterday that one of my listings has an offer coming in from an out of state buyer. My first question was is she using a local lender that you are familiar with? The buyers agent said no, she is using one from her state, her bank. My response was plan on a counter offer as we likely won’t accept that. We will expect her to use a lender that you have a repeat business relationship and because of the new federal rules we also want to make sure that lender has an approved by them relationship with the title company. How can I effectively persuade you that you become the priority when you work with a lender that is getting repeat business from the real estate agent? I ask you again, please take my advice. Please recognize my experience in your behalf. Another Loan Option: Cross Collateral. Having a home to sell, where you need to sell it to buy that new home has a couple of good options. For those over 62 a reverse mortgage may do the trick. I have written other articles on them, click here. A second option is a cross collateral loan. A Cross-Collateralized Mortgage is a one loan that uses multiple (at least two) properties as collateral for the loan. The mortgage is “cross-collateralized” against multiple properties to provide additional security to compel the lender to make the loan. The main two benefits of a cross-collateralized mortgage are: 1- the additional security compels the lender to make the loan, 2- Given the additional value multiple properties bring to the table, the borrower may have a lower LTV, thus lower price on the loan. Generally Cross-Collateral Loans are made by private banks or portfolio lenders as there is no secondary market for this type of loan. The way they work is that when the former home is sold, the equity reduces the loan amount on the remaining property. In some cases this could be the entire amount owed. I find that my background as a loan officer and former owner of a mortgage company helps my clients work through their options in what can be a tricky part of purchasing. FYI, I send my clients to dependable loan officers. The last thing one wants is to have a crash in or near the end of the loan process. Don’t use your local bank or savings and loans. I have horror stories to share with you. To make the point, if you don’t close on time you could be out in the cold. Or if in July, out in the heat. I only recommend loan officers that you can count on. That means they have the experience and the tools to quickly determine you loan capacity. You will be dealing with them and only them during the process. You wont be passed around to the on duty guy or gal. You won’t be required to use a title company out of Chicago who could give a rip if you close on time. YOU DON’T WANT A CRASH! So, please take this counsel, use one of my recommended loan officers. Please please plese, for your own happy ending. Loan Qualifying: My first loan officer job was working for a major bank. I was thoroughly trained, on salary thank goodness, and then placed inside a large real estate office. Of course mortgage banks have standards for loan approvals. Generally you are working on income to house payment ratios and income to total debt payment ratios. There are other rules to deal with. When a loan officer tells you what you qualify for it is often a conservative number. Besides being safe on the commitment they have to be concerned what happens if interest rates rise while borrowers are out shopping. No one wants a failure in a transaction because of a loan failure once in process. Here is another consideration that I have found helpful. I have written that I consider that searching for a home us comparable to a treasure hunt. So what if the treasure is a little more expensive than originally budgeted or a little above the safe approval level? When I was a loan officer I would respect both the borrowers budget wishes and the importance of being careful. However I had enough experience to take another step. I would tell my agent and usually the borrower to start looking at the low range of the qualifying. In addition I would figure an amount that I believed I could push them to. Often I would run it by an underwrite first to confirm the upper limits. With good credit, extra cash reserves, a higher down payment, or other factors the borrower can be stretched. My proposal is that they move up in price in $10,000 increments. That jump often makes a big difference in what you get. Moving up in looking from lowest price to the upper limits often finds the treasure is in the higher range, even higher than originally considered. After all it is a long term purchase, get the dream home folks. Credit Karma App. Perhaps the most important feature is to quickly note what it says. Are there any changes? Did your score go up or down? What caused the change. If you work through all parts of this app you will be given enough hints that you can see what to adjust or do to raise your score. It’s wise to try and get your score into the 800’s. In the hundreds of credit reports I have seen very few people are in the 800’s. 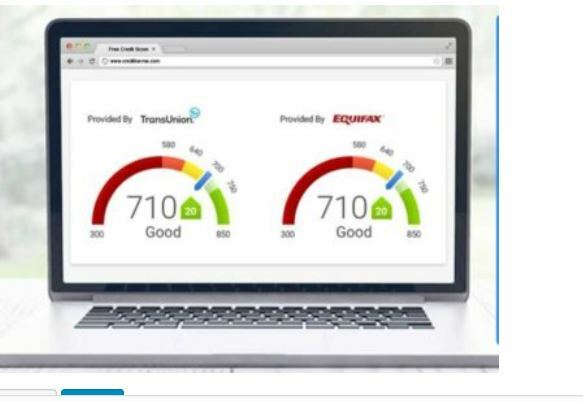 Even though a low 700 score may qualify you for a loan or to get insurance, the rate you pay may be lower by getting into a higher bracket and result in a lower cost to you. One credit advisor I took a recent class from pointed out that there are different scoring systems for different applications. Even though your credit report in Credit Karma may show a somewhat different score than the one your loan office pulls for your mortgage, the info is just the same. The accounts, the balances, and the details are all quickly available on Credit Karma. When the app was first introduced it was less pertinent. Currently they have arrangements with two of the major credit bureaus and the info is relevant. Two is enough in most cases. For example a mortgage lender will take the middle score as their decision score and with two of the three major bureaus you for sure have the middle score. 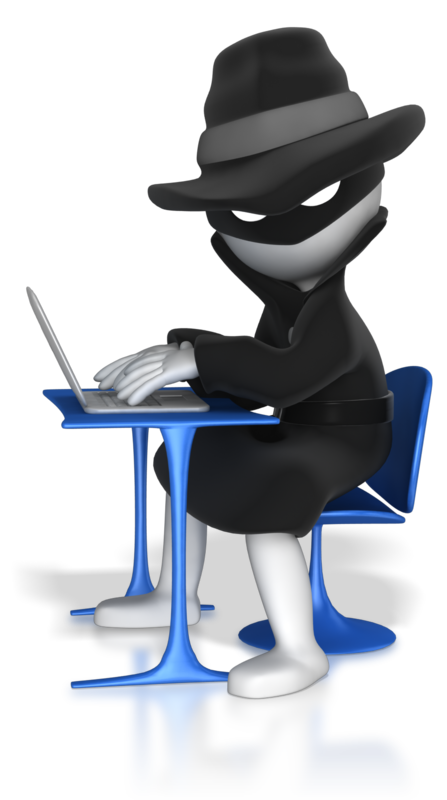 Your creditors update your information in batches. Some do it monthly some twice a month. Credit Karma tells you when the next update is for their application. I recently added a credit card for my personal use. First I applied for it. I actually did it from the Credit Karma app. It made a suggestion on an appropriate card for my score. The application was accepted immediately. The next day the request showed up on Credit Karma as an inquiry. More than three inquiries in a quarter bring start to bring you score down a couple of points or more. After receiving the card, I used it. In about six weeks I could see my new score, which raised 20 points because of the large amount of unused credit the new card provided. Credit Karma is one of those great apps to have on your phone or tablet. It’s meaningful and is an easy way to do a regular checkup on this important part of your financial picture. Don’t let any negative you have heard keep you from downloading it. By the way, as good as the app is, the desktop version of your Credit Karma account is even better. You will find much more information, more teaching tools, and a clearer look at your credit information. My suggestion is to make it a regular habit to check the app and at least monthly take a thorough journey through the desktop. I was recently asked “how high should my score be”? The answer to that question is as high as you can get it. The benefits are more than in feeding your ego, they can show up as a lower interest rate or even a lower insurance rate. That’s right, insurance companies run a credit score on you. What has this world come to? Oh, by the way, shoot for an 800+ score, few there be that get to that. The higher your score the lower the interest rate you will earn. keep on moving it up.